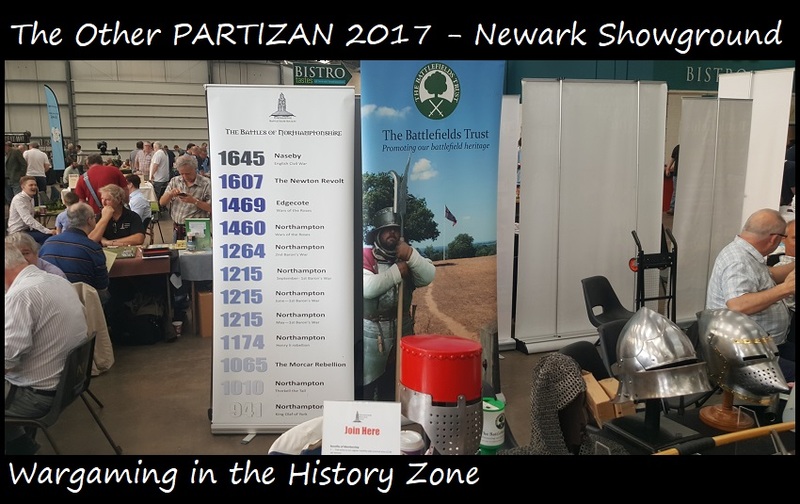 The day after Bosworth (well, Bosworth is a weekend event so, really, 'taking the Sunday off from Bosworth') saw us in Nottinghamshire for 'The Other Partizan' ... traditionally the start of the autumn season but now shifted backwards in the calendar, and definitely now a summer show. 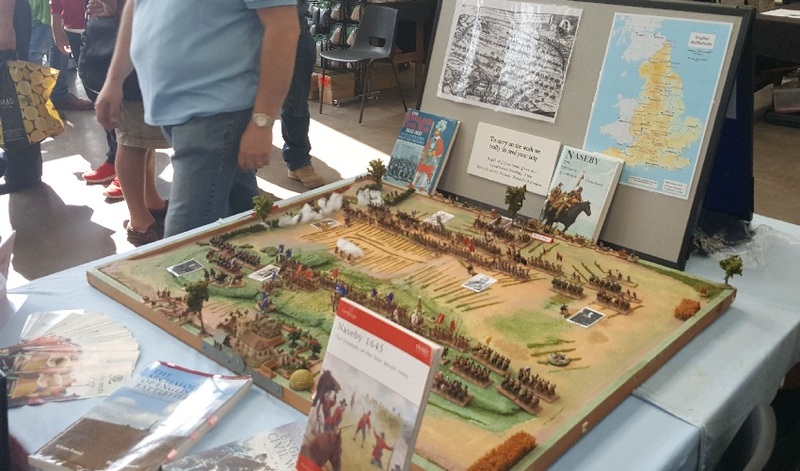 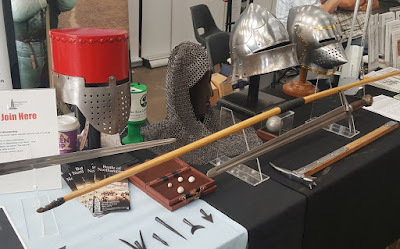 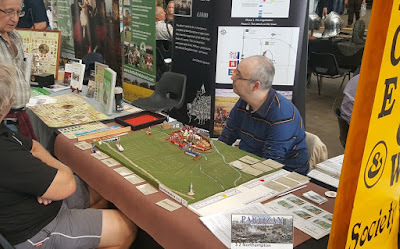 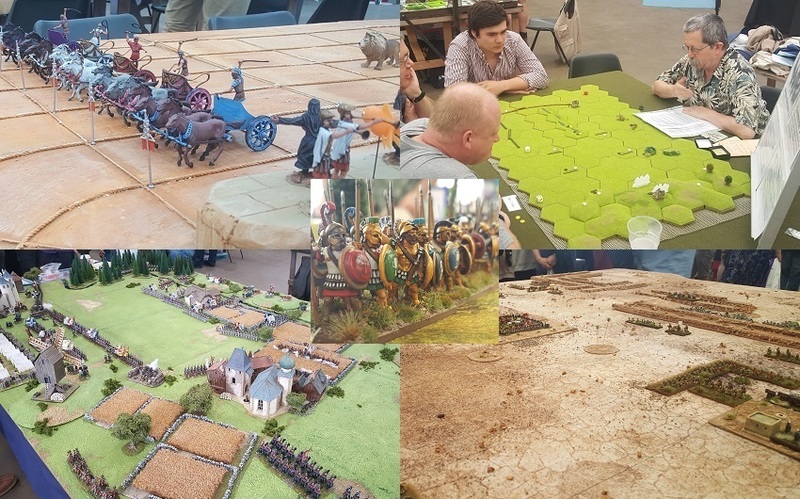 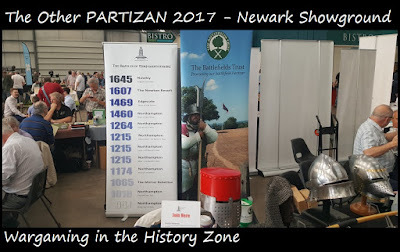 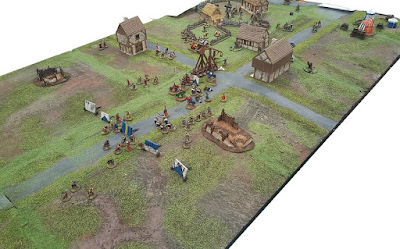 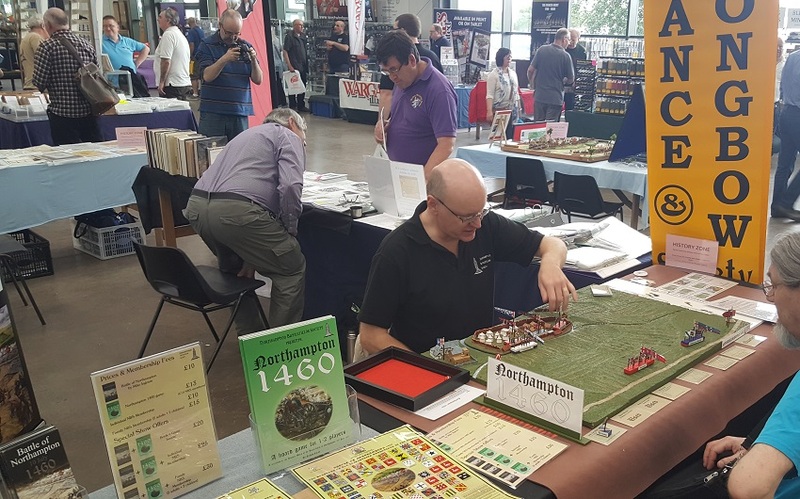 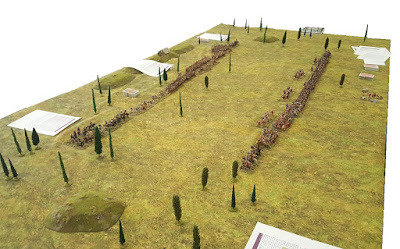 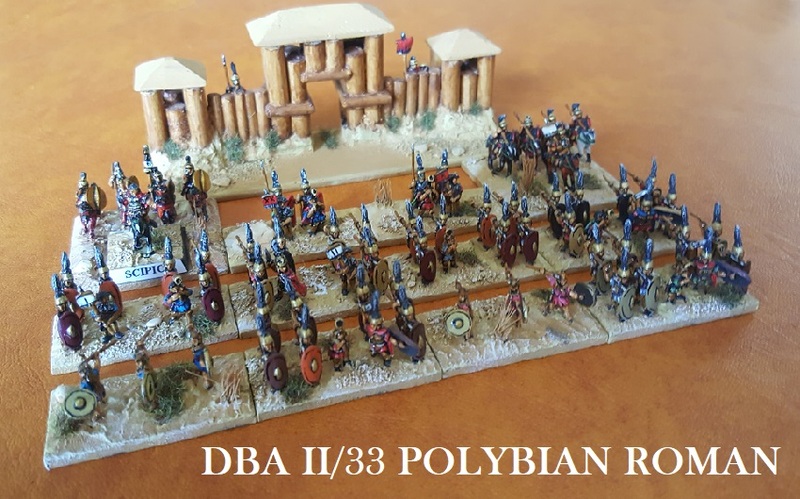 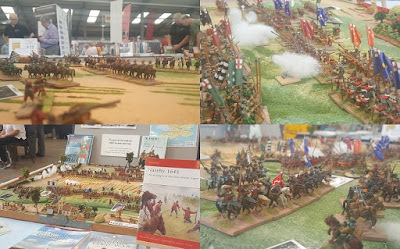 For the Partizan shows we ship a lot of gear into the History Zone and form something of a cooperative comprising the Northampton Battlefields Society, the Society of Ancients, the Lance and Longbow Society and the Naseby Battlefield Project. 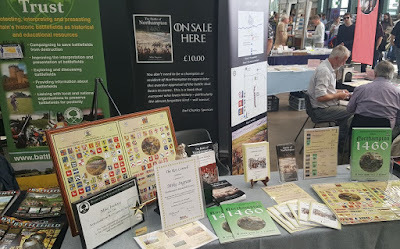 We join the Pike and Shot Society, Civil War Centre and The Battlefields Trust. 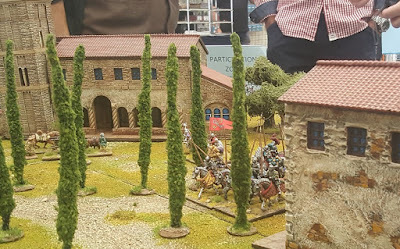 There is a lot of overlap between these associations. 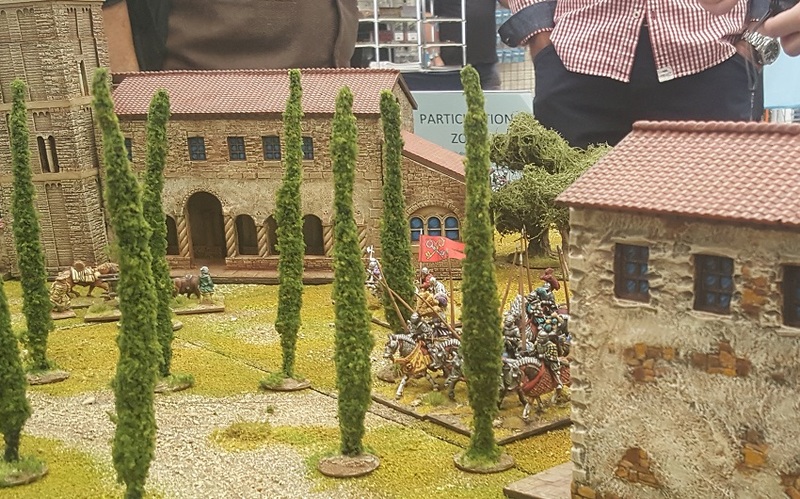 But Partizan probably wins these days for its selection of games and displays. 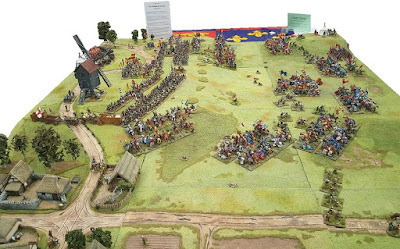 Aren't the cameras on today's mobile phones splendid? I won't make lots of comments on Partizan ... it was a nice day out and useful for the Societies ... 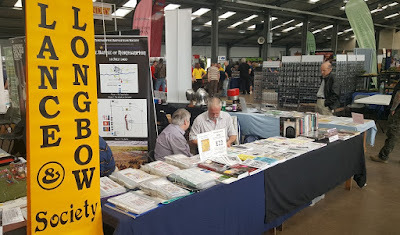 It was only a short gap before Hereward and I hope we'll all be back at the Showground in the new year.